Some homeowners do some repairs and makeovers for their homes even when it is not yet that necessary. Well, maybe they just want a new look or they have enough money to spend for repairs. But for those who have little budget for this kind of activity, they should make sure that they are doing a makeover because they really need it. 1. Your home doesn’t have any artwork. If you notice that your home doesn’t have any art works, then it would be time for you to add one. Try to provide even just a simple painting, or wall decor, or maybe a framed poster. You can also add some accessories like vases, ceramic displays and others. If you do not have a budget to buy those items, you can create yours. There are lots of DIY tutorials online that can teach you how to make homemade accessories and decorations for your home. 2. You see clutter everywhere. Another sign that a makeover is needed is when the clutter in your home is already noticeable. You might not be able to see your floor anymore since there’s already so much stuff on top of it. You will also have a hard time looking for your things! 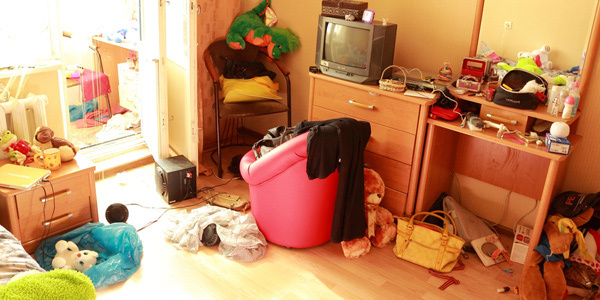 Clutter is a bad thing especially in homes. It does not create a healthy environment after all. One solution for this is to have more storage areas in your home. You can get them from stores or you can also create them. Be smart in looking for ways to store your stuff. Aside from being a storage place, they can also be an added decoration to your interior. 3. Your flooring looks old. Well, you might not be able to notice it at once but take a good look at your flooring. If it looks old and maybe ugly, it is time you do some makeover. 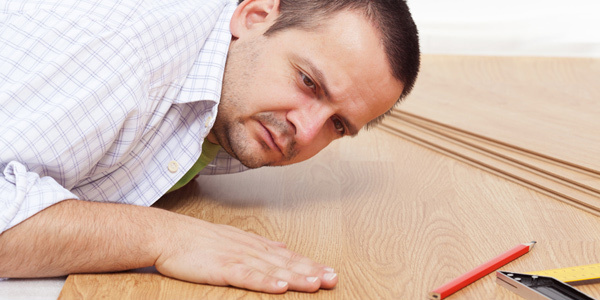 If your old flooring is made from ceramic tiles or vinyl, it might already come to the point of cracking or chipping. Thus, it would no longer be presentable. You can replace them with laminated wood if you want to or you can still use ceramic tiles. Just get the damaged portion and place a new one of the same color and design. If your paints are already peeling and looks old, then it is time for a repaint. You can also try to use wallpapers if you want to. There are so many ways to fix your wall and make it look new again. It just depends on your budget and your design preference as well. It would be fun to have a wall makeover if you do that with your family. But if don’t have the time and energy, you can also hire some people to that work for you. 5. You use other items as furniture. Boxes as chairs? Big cans as corner tables? Well, it’s time to get new furniture pieces that would look good and would be comfortable to use. Boxes and big cans can be good as storage and are suitable to be hidden in storage rooms. There are some sale furniture items you can get. There are even second hand ones that still look good which you can clean and customize. This can surely make your interior unique. You can also fix your own old furniture if you have. 6. You feel you’re too boxed-in. The feeling of being boxed-in inside your own home means that your home is too crowded. You have little amount of space available. Air and sunlight might not even be able to get inside your house. You can rearrange your home’s furniture and get some items that are unused. So, if your home has a small space, do not be placing too many stuff inside it or you will feel like boxed-in. 7. Your windows are bare. If your windows are just windows and nothing else, then why don’t you try making it look better? When you rise in the morning, you could be blinded with the sunlight and when it gets dark, you feel like everyone passing can see what is happening inside your house. Get some window treatments. 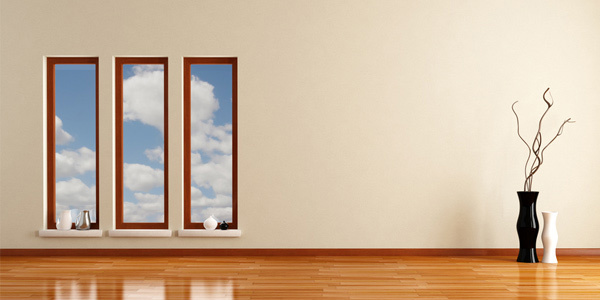 There are lots of choices depending on the size and shape of your window. There are also different styles that would suit your taste. 8. Your home is too dark. A dark home is just similar to being boxed-in. You feel that your home is too dark since there are only few lightings or there are few windows. You can add some lightings like pin lights on dark corners. These lightings can also be a good decoration for your home. Choose those that would fit the look of your interior since they come in different styles. Also, get those that are energy efficient to help you save from electricity and save nature at the same time. 9. You feel it’s too hot. Feeling too hot while inside your home? Your house might not be well ventilated. Maybe the ceiling is too low or the windows are not placed on right areas. Or you maybe you just do not open your windows at all to make sure there is privacy in your home. Just get window treatments. Binds can be good. You can also add electric fans or maybe an air-condition unit. It depends on what could be right for your home. 10. Guests prefer to stay in a hotel. Oh well. Another sign that your home is not too pleasing is that when your guests enter, they will prefer to stay in a hotel instead. They would say bye to you instead of spending their night in your home. Make your home a good place to stay in so you can have guests anytime you want and they would be happy to stay in your place. Having a makeover for one’s home is not simple. One really has to make sure that he needs a makeover and a repair before doing it in order to save money and time. With the points above, we hope that you will have an idea when you can do some repairs. You might as well need the help of an interior designer so everything will be smooth sailing. You can also check our article on the Advantages of Hiring an Interior Designer. Way to go, very informative.